Hello, Dee Creases began 14 years ago in a shed at the bottom of the garden and then grew into the premises at Warley. We provide a dry cleaning, ironing and laundry service to our clients in Brentwood and the surrounding villages. My team and I am passionate about providing excellent customer service and pride ourselves in completing every order to our clients specification. all our services are completed on the premises with the exception of repairs and alterations. With over 15 years’ experience Delta Recruitment together with our Agency Associates are dynamic to bring together qualities of effective candidates to help with your staffing needs. Our Person to Person approach is to enlighten your hiring experience and by “Returning the Human Touch back into Recruitment” we can in collaboration do this. Agency Associates: After over 10 years managing a Recruitment Agency Base as the Master Service Provider (MSP) for a blue chip Automotive Company, I’ve built personal relationships with a trusted few agencies (old and new) whom we can reach out for help in sourcing candidates. These include sectors such as, Professional, Back room staffing, White & Blue Collar workers, even health. We can be your mini MSP so your one person contact without the need for multi agencies, therefore one set of terms, one call & email, saving you valuable time. Better Hiring Service: By understanding you, your diversity, your environment, even down to a work station and business plan for the next 5 years, helps me to relay to the prospected candidate as the extension arm to your business. Collaboration. By combining our expertise and knowledge we can be creative with the hiring process to best suit you and your business needs. Standard terms is what it says on the tin, but why be standard? We want to be bold with an approach to suit your business, to attract the top talent to work for you. No one size fits all with our approach, so in collaboration we not only set the curve we push the boundaries. Do the right Thing: The business world is hard enough as it is, so we eliminate the need to play the power game, or over promise to get your attention? Our Straightforward, open and honest approach will simply add more time for your already busy schedule, we will then get on with the rest. Evolve: Our personal approach is to delve into the characteristics of a prospect candidate as an individual, not just match a job spec & CV to make the placement, but to ensure retention of talent to grow within your business. Promise: By following our ABCDE step plan will set us in good stead for a true partnership. If I can’t help, I know that my trusted network can. Dr Simi Medical Aesthetics is a skincare and anti-ageing clinic specialising in medical grade skincare products and treatments, LED light therapy for skin rejuvenation, microneedling, anti-wrinkle and dermal filler treatments. The clinic treats skin conditions including acne, rosacea, pigmentation, scarring and signs of ageing. Dr Simi trained at Imperial College London Medical School and has 18 years medical experience. She is a licensed, regulated and GMC registered doctor. She initially trained and worked a Surgeon and gained Membership to The Royal College of Surgeons, and switched careers to become a GP; also gaining membership to The Royal College Of General Practitioners. She currently divides her time between General Practice and Medical Aesthetics. She is an avid believer in natural aesthetic results and safety in beauty. I think it would be a fantastic networking opportunity as I am new to the Brentwood area. 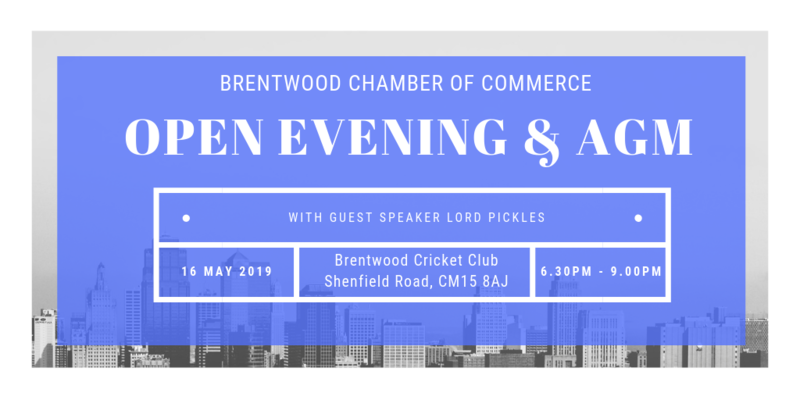 The Commerce would provide the opportunity to build relationships with existing businesses and learn from the wealth of information that is around as well as adding to the richness and diversity of the businesses in Brentwood. I would contribute by adding my professional services (I am a doctor, and former surgeon with more than 18 years medical experience) and I am a passionate about safety in beauty in particular within the aesthetics field which is currently largely unregulated. DSA Connect Ltd provide an invaluable service we are committed to providing various options that will provide you with the peace of mind that all your old IT equipment, PC’s, laptops, mobile phones, tapes, printers, USB sticks which may still hold data can be wiped and removed under ISO 9001 and 14001 accreditations to ensure that your organisation is thoroughly GDPR compliant and certificates are also provided for your records.